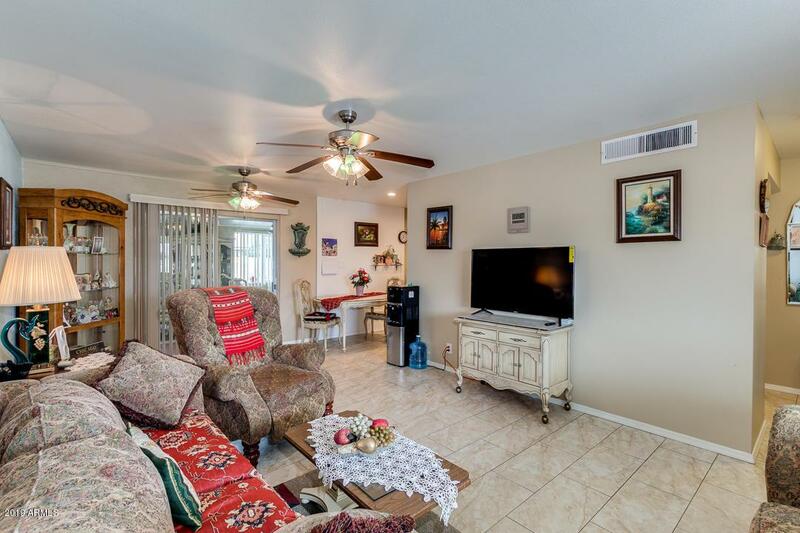 RARE FIND SUN CITY HOME UNDER 200,000! 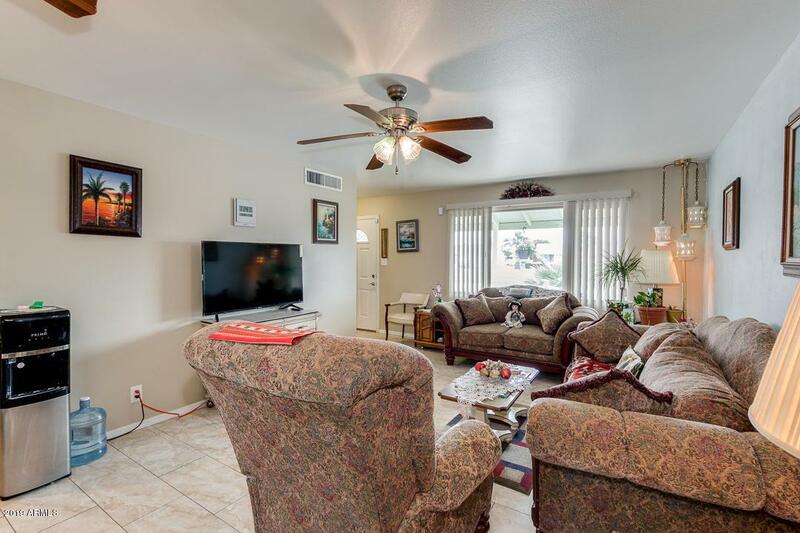 Nicely updated 3 bedroom 2 bath home in phase 1 of Sun City. Beautiful ceramic tile throughout and neutral carpet and laminate in the bedrooms. Both bathrooms fully remodeled. 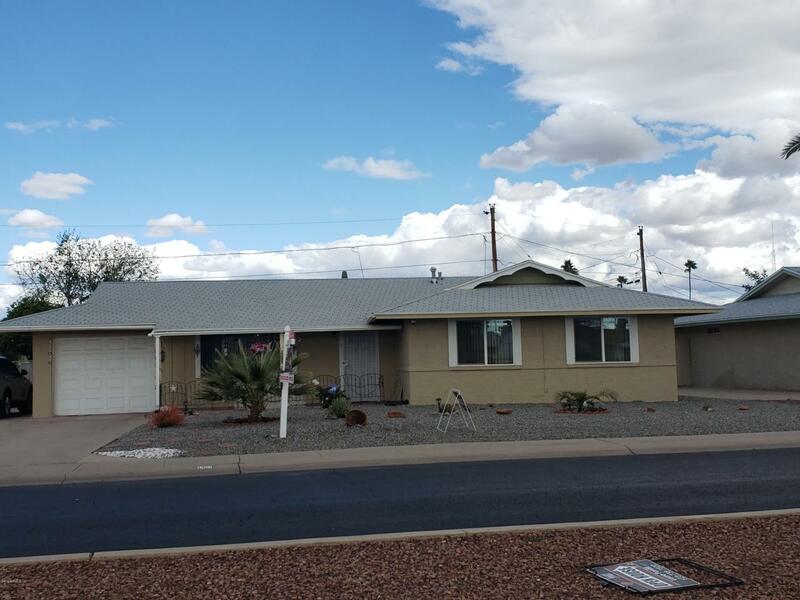 All dual pane windows throughout, Spacious Arizona room overlooking a fenced in yard, Sewer Lines to the home have also been replaced. Newly redone kitchen backslash and stainless steel sink. 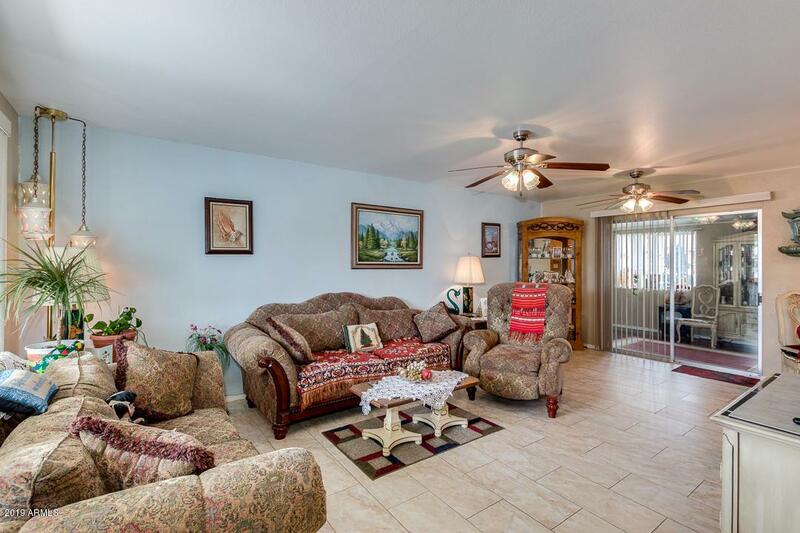 Come view this adorable home before its gone. Wont last long and priced just right!